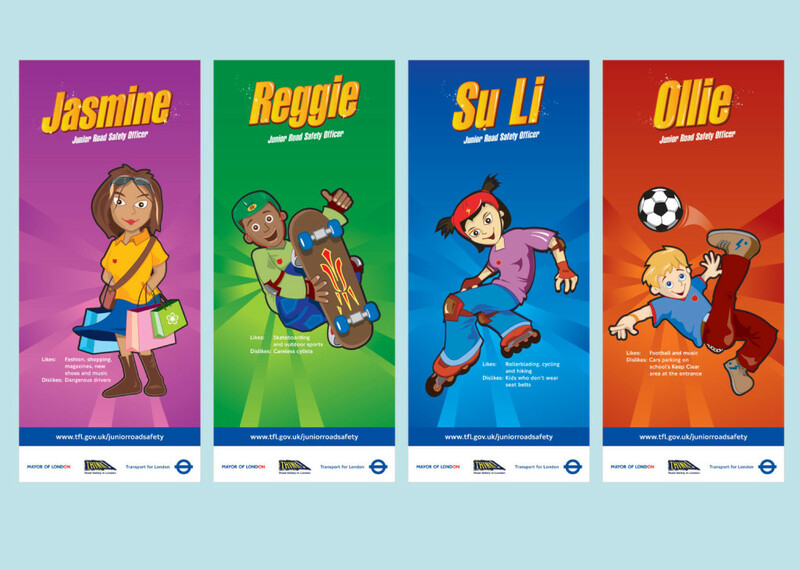 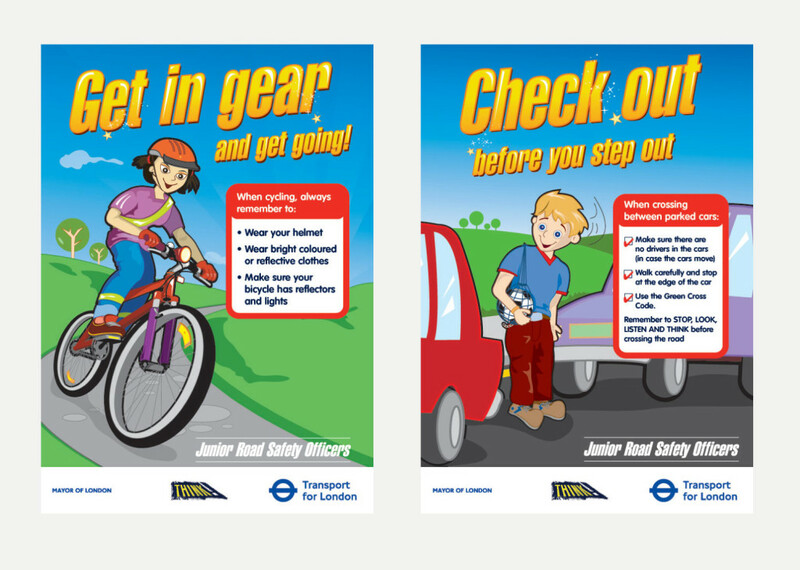 A range of educational materials designed and illustrated for the Junior Road Safety Officers scheme for Transport for London. 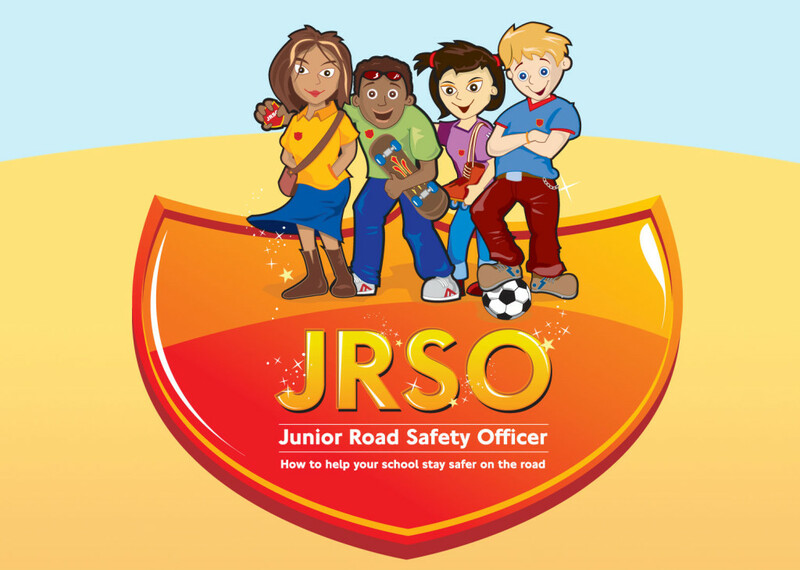 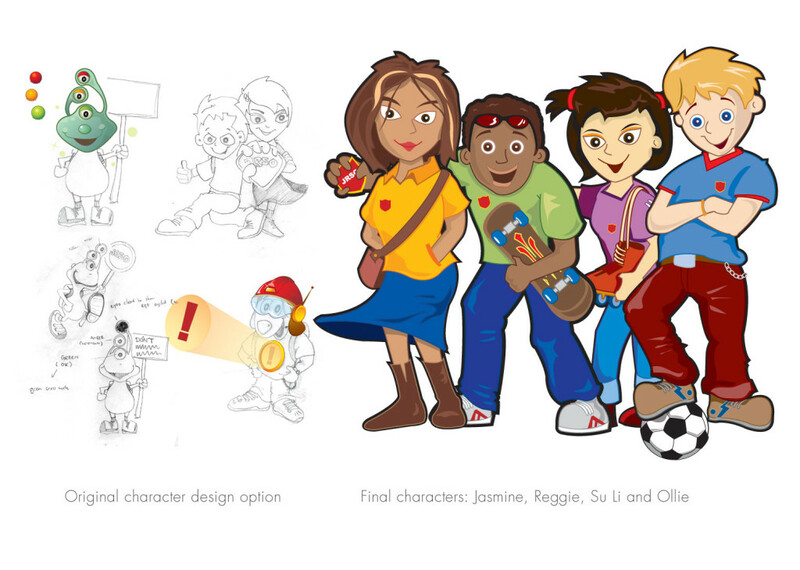 These included the character designs of Jasmine, Reggie, Su Li and Ollie which encouraged the school children take part in this road safety scheme. 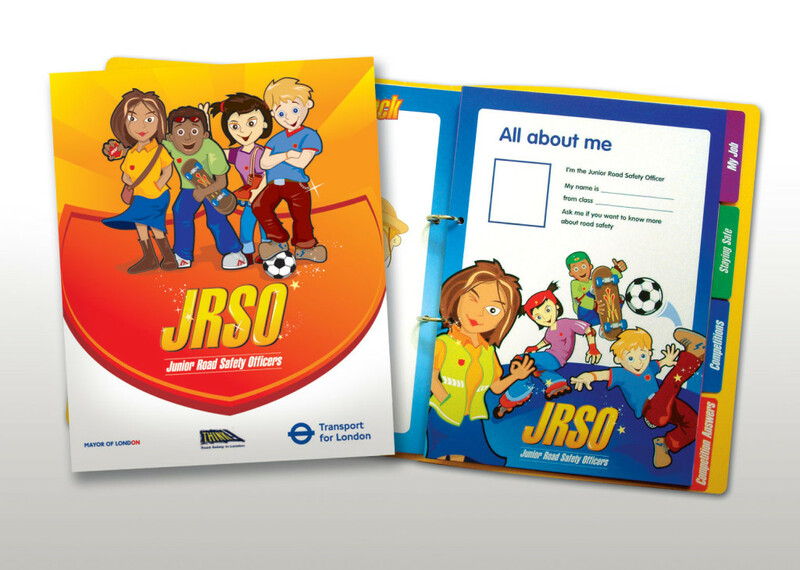 A JRSO kit was also produced alongside all promotional material (online and offline). 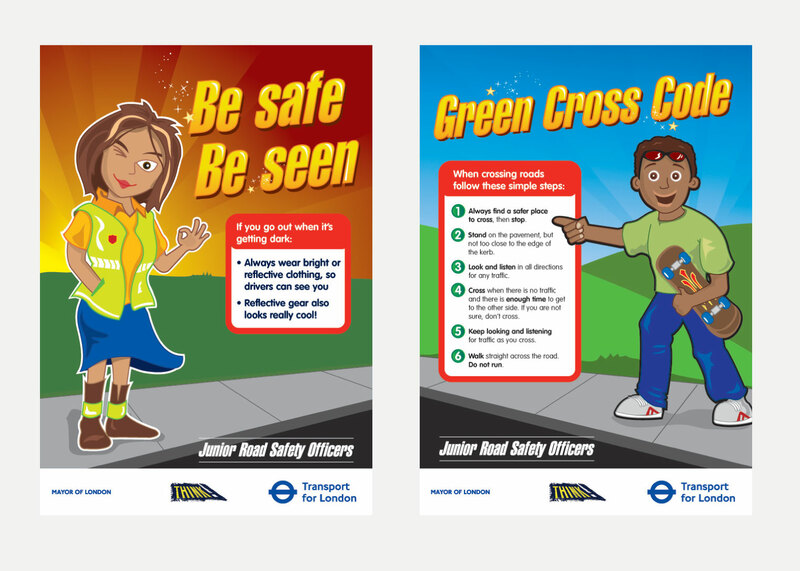 Winner of the Prince Michael of Kent Road Safety Education and Trainng Award.